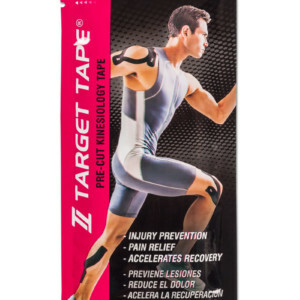 ACCELERATES MUSCLE INJURY RECOVERY, PAIN RELIEF, AND MUSCLE INJURY PREVENTION. 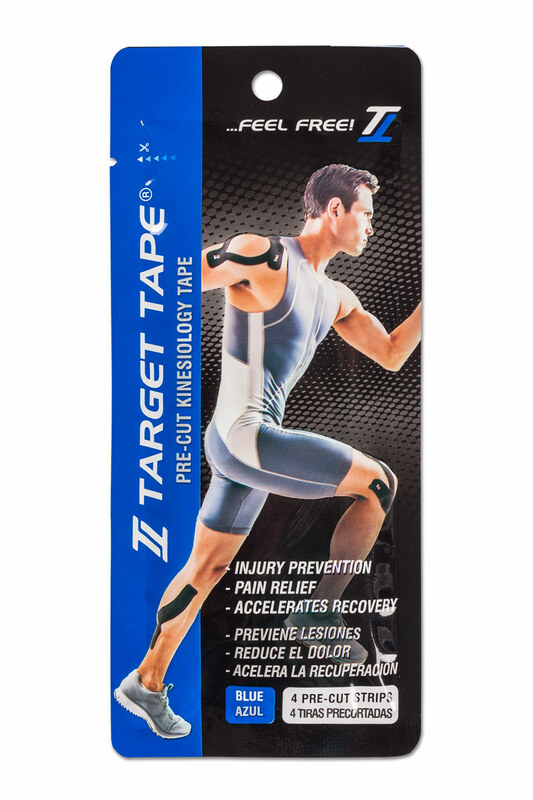 After application the additional blood flow into the injured muscle brings needed additional oxygen for muscle fiber repair. 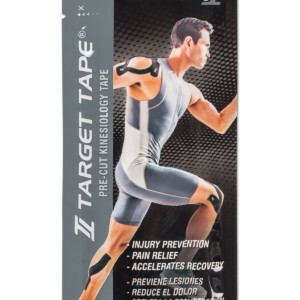 The physical action on the skin reduces the pain in minutes by lowering pressure over the nociceptor pain sensors. The reduction of pressure it’s also utilized by the lymphatic system to remove toxic acid buildup creating the perfect condition for accelerated muscle and joint recovery. ALL PRECUT SELF-ADHESIVE STRIPS – NO SCISSORS NEEDED. No need to look for scissors and make perfect rounded corners to prevent detachment. Just peel and apply. 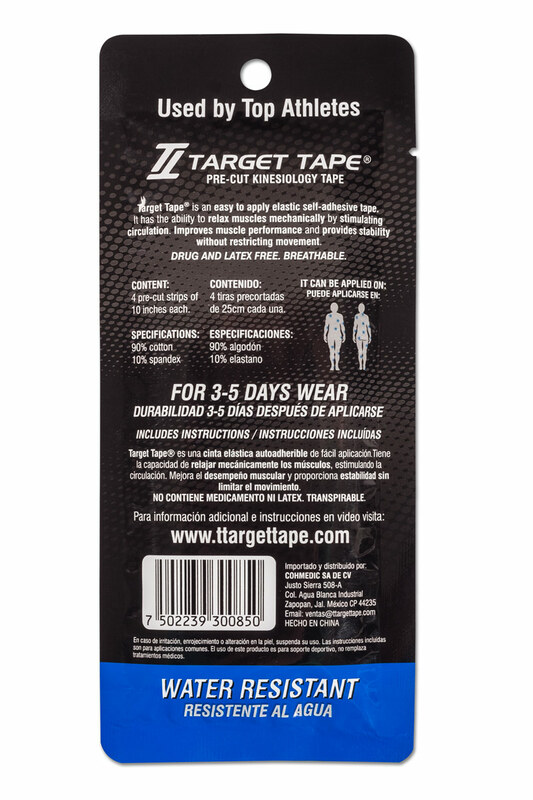 Advanced adhesive formulation makes them stickier than the rest so they won’t fall off when you need it the most. Step by step instructions brochure inside the package. FULL RANGE OF MOTION. Don’t allow an injury to stop your need for exercise. 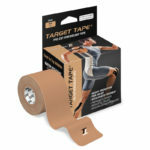 In the past, bulky and heavy bandages wrap tight around injured muscles or joints prevented the full range of motion required to maintain the activity. 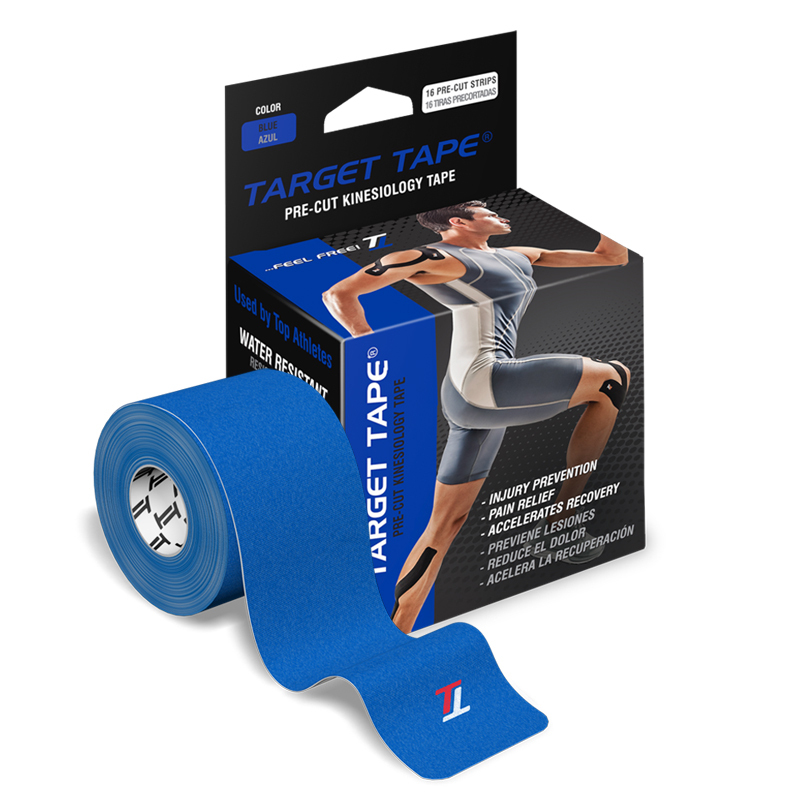 Target Tape is durable, thin yet strong and ultra-light providing the same elasticity as your skin. 100% DRUG AND LATEX FREE. HYPOALLERGENIC. No medicine so no prescription required. 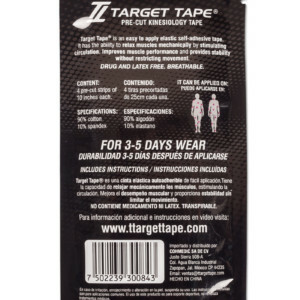 Hypoallergenic and latex free to reduce skin irritation. WATER RESISTANT, BREATHABLE, WEARABLE FOR 3-5 DAYS. Using a combination of 90% natural cotton and 10% spandex to make extremely elastic to replicate your stretchable skin yet breathable to your skin pores. Water resistant so it can easily be used for all type of water activities, social or extreme.